My son’s first Power Point presentation ever and I went to visit his classroom with this outfit. I had to think what I should be wearing for my head. I did not want to be too outstanding to draw his friends’ attention to my wig. I should not be dressing selfishly to make it to my stage. I wanted to be moderately stylish. Casual wear with this turban style was what I decided to dress for this occasion. 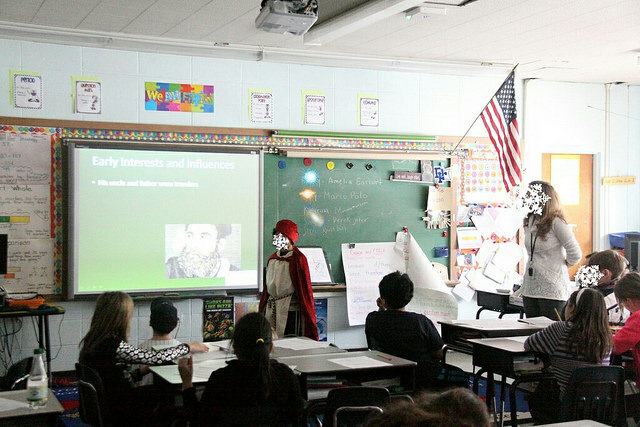 He is presenting Marco Polo to his class. We made the costume together. He had to sew by hand, some parts by himself. Well done, my son!